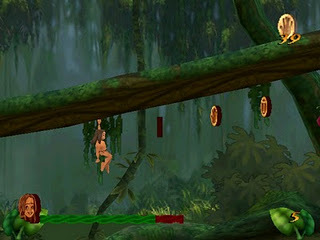 Tarzan For PC | You must already be familiar with this one game. Well on this occasion I will share the game is arguably already stale (Quote) but it's okay. In this game you are told to adventure in the woods, jumping tree to tree, killing the enemy (the enemy here is not human, yes, but the animal). is pretty basic for leisure. Tarzan Untamed is based on Disney's animated adaptation of Edgar Rice Burroughs' Tarzan. It picks up from where Disney's movie ended and sees Tarzan, his girlfriend Jane and his friend Terk fighting against an evil explorer who is filming in the jungle and collecting animal specimens for his trip home. 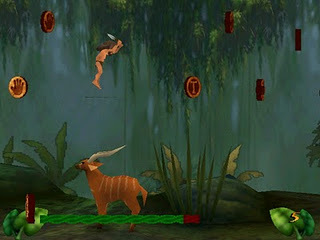 Gameplay is spread across 15 different levels where the player must save animals that have been trapped by the evil explorer and pick of rolls of film dropped by him. 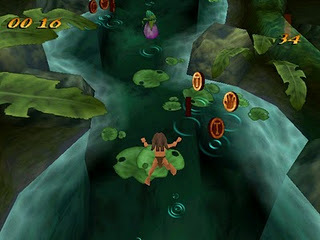 Explore immense worlds such as the Swamp and Elephant Graveyard, plunging deep into 3D jungle environments.